The Wythburn and Thirlmere Heritage Group gets little publicity yet performs a very valuable service in seeking firstly, to help towards the maintenance of Wythburn church, a grade two listed building and one of the very few buildings to survive in the parish of Wythburn. Secondly the Group also tries to promote the heritage of the valley as far as it can. 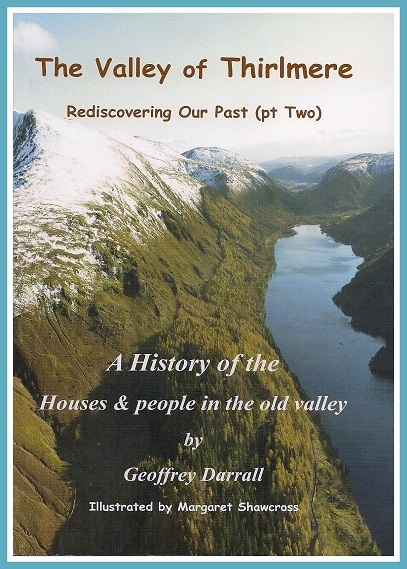 A History of the Houses and people in the old valley." Written by Geoff Darrall who was vicar of Wythburn from 1963 to 1995, with lots of illustrations in the form of old photographs and with special paintings by Margaret Shawcross, herself a former Wythburn resident, and contributions from Laurie Walton and Eric Hope and cover photos by Patrick Holmes, it contains an account of the various houses which used to lie round the old lake, and stories of some of those who formerly lived there. Saturday, March 2 nd at 2 pm. Teas will be provided free and there will be a display of old photographs as on previous similar occasions. If people have any old photos or memorabilia, we would be grateful if they could bring them along. Please contact Geoff (E/m: geoff.darrall@btinternet.com) beforehand to arrange display.